White Paper XV: Preventative Medicine/Self Healing via One’s Personal Biofield Pumping and Balancing by William A. Tiller, Ph.D. 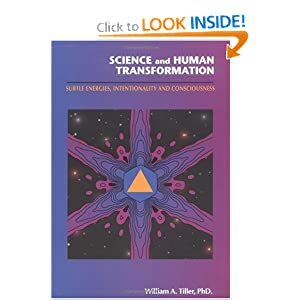 In my book “Science and Human Transformation”, I utilized human energy field insights gained from some of my 1960-1980 experimental research studies to produce self-healing and preventative medicine for myself and my family. I have always been pleased to share these insights with others when they show an interest. I have found great personal benefits via following and expanding these procedures but, at present, I do not know how universal all of these results might be for others. I do know that some of them have been stated to be quite beneficial for others. In the 1970’s, I did a variety of energy field experiments with a well-known dowser, WC,and came to recognize a seeming-correlation between our three proposed main energy circuits in the body and the Eeman’s Relaxation Circuit of the 1920’s. Eeman’s experimental arrangement is illustrated in Figure 1a and consists of a subject plus copper mats and copper wires. The back of the head (base of the brain) and the left hand appeared to be of one subtle energy polarity while the base of the spine and the right hand appeared to be of the opposite subtle energy polarity. Under ideal conditions, the individual subject is aligned along the magnetic flux lines of the earth with their head to the north and their feet to the south (with ankles crossed left over right). If he/she is energy right-handed and connected in this way, they will just deeply relax in this particular circuit and this brings about both balancing of the energies in his/her body plus an influx of new energy into their system (at least that has been my personal experience). When lying on top of a bed in the Figure 1b circuit connection (not always with the head pointing north), I noted a strong subjective feeling of energy flowing through my body, sometimes quite intensely in certain locations of the body before that part completely relaxes. After a one-half hour session in the circuit, I felt greatly relaxed, energized and mentally centered for the following 6 to 10 hours. I learned to do this before mid-afternoon in order not to be wide awake at my normal bed-time. Back in the 1970’s-1980’s, I found this to be so effective that I would even take this on business trips to ensure that I was able to deliver high quality performance. , the situation is reversed. In the experiments I have personally carried out on myself with this type of circuit, I have utilized the slightly simpler circuit illustrated in Figure 1b. Each copper mat of Figure 1a has been replaced by a simple copper loop, one around the head making contact at the base of the brain and looping around to the front over a region ~3 inches above the eyebrows and a couple of inches away from the head. The other copper loop is around the waist making contact at the base of the spine level with a loop diameter large enough to easily pull on over the shoes and trousers and slide up the body to the hips leaving the front part of the loop about 2 inches to 3 inches above the body. I eventually came to attribute the utility of this modified Eeman’s circuit to an equalization of some biological “subtle energy” potential within the three main body circuits. My hypothesis was that the left hand drew energy from the head circuit, fed it through the trunk of the body and out the right hand into the leg circuit. I hypothesized that, in this way, the three main information wave (Qi) circuits of the physical body were “shorted out” to equalize their subtle domain potentials and that it was this that allowed my normal electric charge-based physical body to deeply relax. I eventually assumed that this line of speculation was close to the truth and that the copper serves only as a reasonable conductor of this information wave (Qi) energy present in the human biofield. I then decided that, in principle, if a human could learn to “pump” this energy within their own bodies, similar results might be obtained by just using one’s bare hands. I speculated on an explanation for this phenomenon and eventually hypothesized that the minor chakras at the center of each palm were intimately involved in this subtle energy flow process. For me, this subtle energy appeared to flow out of the right palm chakra into the air to become part of my biofield and from my general biofield into the left palm chakra up the left arm, across the trunk of my body and down the right arm, etc. From my experimental work with dowsers, particularly WC, a second major body circuit was in-flow via the minor chakra in the center of the sole of the left foot, flow up the left leg and across the groin followed by flow down the right leg and out the minor chakra at the sole-center of the right foot. The third discrete energy circuit of the body appeared to be in-flow from the biofield through the left eye and out-flow through the right eye to the general biofield. , while resting the hands in my lap, I subjectively felt some type of weak energy current flow up my left arm and down my right arm. It seemed to cross the trunk of my body from left to right. The longer I did this, the stronger the flow of this current seemed to be. It was almost as if the flow of this subtle current reduced the resistance to this flow which, in turn, increased the magnitude of this current flow. Separating the palms seemed to reduce the magnitude of the current flow. Presuming that the impedance to this subtle energy flow is appreciably larger for travel through the air than for travel through the epidermis and dermis, placing the two palms in intimate contact should enhance the magnitude of this flow through the arm/trunk circuit. Likewise, placing the soles of the feet together should also be therapeutic. In any event, I performed the palm-to-palm exercise for about 30 to 60 minutes a day for about a month and subjectively noticed an appreciable increase in subtle energy flows within my body plus an enhanced body vitality. I felt that I was now ready to perform a few “healing” experiments on myself. 1. In the early 1970’s, I began to wear glasses for reading and for driving my car and I didn’t like the inconvenience. About the same time, an MD friend told me about an experiment conducted in China on children with vision problems who needed to wear strong glasses to see and read effectively. They were told to massage certain acupuncture points around the eyes as these relaxed the tensions in the eye muscles. After a few months of doing these exercises daily, most of the children were able to see and read well without using their glasses. This sounded like something I could check out by trying it on myself. #2, situated at the of the eyebrow (a bladder meridian point). #3, situated about 0.5 inches of the eye (the start point of the bladder meridian). #4, situated about 0.25 inches beyond the outer corner of the eye (the start point of the gall bladder meridian). the center of the eye (the start point of the stomach meridian). #5, situated about 0.25 inches beyond the outer edge of the eyebrow (the end point of the triple warmer meridian). #6, situated about 0.5 inches above the center of the eyebrow (a point of the gall bladder meridian). A. With light to medium pressure, starting with point #1 on each eyebrow, massage in a clockwise/counter clockwise direction for 9, 18 or 27 rotations and then do likewise in the opposite direction for the same number of rotations. B. Do the same procedure for points #2, #3, #4, #5 and #6 in sequence. C. Then, placing two finger tips touching the bridge of the nose between the eyebrows, run the finger tips in opposite directions at moderate pressure out along the eye brows in a rotary motion around the eye and up the outer nostrils back to the starting point. Do this 9, 18 or 27 times. This should feel very good! I did this, and still do this several decades later, every morning for about 5 to 10 minutes. Within about two months of starting the exercise, I no longer needed to wear glasses for either reading or driving. That was about 40 years ago and I still have excellent vision (although now that such small print is being used for newspapers, I now use 1.5 times drugstore magnifiers for easy reading). 2. All during the 1960’s and early 1970’s, I had a severe lower back problem and would generally visit my favorite chiropractor every winter when the weather turned cold. The severity was such that I would go three times a week for the first month (diathermy, manipulation, etc. ), twice a week for the second month and once a week for the third. In the early 70’s I decided to try an experiment using my own hands to heal the problem. Every day, first thing in the morning and last thing at night, I would sit erect and place my hands on my back (overlapping my spine) and start as high up on the back as I could reach. Initially, I would leave the hands there for ~1 minute or so and then shift them a palm-width lower for the next minute or so and then progressively lower until I reached my tailbone. It seemed as if my right hand was acting like an energy hose injecting energy into the back, which stimulated the neural system and activated the vascular system. I didn’t miss a day of this practice and found that I suddenly didn’t need to visit the chiropractor at all for the next 15 years. So long as I didn’t do anything stupid like walking a long way carrying a heavy suitcase in one hand or spend a long time shoveling heavy snow, I no longer needed to visit my friendly chiropractor. 3. A common malady for some people is that they have trouble turning off their brain in order to fall asleep. I was one of those people when I was younger. However, once I learned how to pump subtle energy, I discovered a solution to my sleeping problem via using my hands instead of copper wires in the Figure 1a configuration. I would lie in bed on my left side with my head on the pillow. My left hand placed on my neck at the base of my skull, my right hand was placed on my tail-bone and my left ankle was placed over my right. I would lie that way for 15-20 minutes and then resume my normal sleeping position and I quickly fell into restful sleep for the duration of the night. The body orientation with respect to north does not seem to be strongly critical. (2) : Place the right palm on the thigh closer to the knee and the left palm closer to the groin, thus bracketing the sore region and increasing the bioenergy flux through the left thigh region. Sore Right Thigh: Place the right palm on the thigh closer to the groin and the left palm closer to the knee, thus bracketing the sore region and increasing the bioenergy flux through the right thigh region. (4) : Place the left palm on or below the stomach and the right palm higher up on the chest, both being centrally located on the body. (5) : Place the left palm on upper chest just below the throat and the right palm on throat up under the chin. Headache: Place left palm on forehead and right palm at back of the head at base of brain area. The procedure #3 above has also been therapeutic for the elimination of female menstrual cramps by having the female lie face-up on a couch and me kneeling on the floor beside it. I place the left hand under the base of her skull while the right hand I s placed under the tailbone of her spine. Relief of her internal stress usually occurs within 5 to 10 minutes. In all cases where one person is using their hands to ease the pain, stress or ailment of another, I have found it useful to run cold water over the wrists after such a treatment. My working hypothesis is that everyone has the inherent capacity to build the necessary infrastructure into themselves by practice, practice, practice on themselves to find out what works best for them. In all of these procedures, as the energy form causing the initial pain passes out of the region and through one’s trunk circuit, a type of energy polarization can often develop in the wrist joints and this diminishes the magnitude of the subtle energy current flow. Thus, periodically, I have found it useful to rotate the wrists which appears to discharge this polarization energy (often with a sharp “crack” sound). This seems to allow the subtle energy current flow magnitude to increase back to its initial level. A second mode of subtle energy (Qi-energy) adjustment appears to be the one-handed mode. For example, by placing one’s left hand on one’s own body or on someone else’s body, subtle energy of this particular type can be removed from that location. By using only the right hand, this particular type of subtle energy can be introduced into the body at a specific location. If an individual has a pain at a particular location in his/her body, then he/she or someone else appear to be able to diminish the magnitude of such pain by simply placing the left hand on the particular location of the body and holding the right hand away from the body to release the subtle energy stream into the atmosphere. The left palm appears to act something like a suction pump to pull a subtle energy stream from the subject’s body at the location of contact, with this stream passing through the practitioner’s body and out into the atmosphere via the right palm. My present working hypothesis is that this subtle energy stream carries with it some quality of the particular subtle energy form causing the pain. For figures and the rest of the article, please click here. by William A. Tiller, Ph.D.